Rejuvenate, nourish and restore balance to your skin, with botanicals and fruit extracts native to the Adriatic and the Mediterranean regions of Europe. Suitable for all skin types, our elixir reveals a bright, silky complexion that will make you smile. Light and non-greasy, with refreshing notes of citrus, this elixir is divine goodness for your face! Apply 3-5 drops on a cleansed, damp face by gently pressing onto skin. Allow your skin to soak up the goodness – literally! Use daily, in the morning (before sunscreen) or at night (in lieu of face cream). People have been known to use a few drops on their hands or damp hair. They love it! 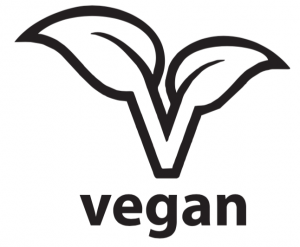 We carefully select and maximize the use of certified organic, cold-pressed, unrefined ingredients. 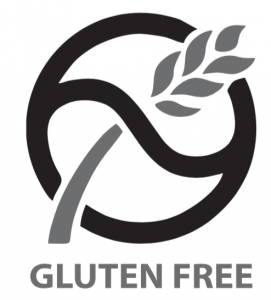 All our suppliers are US-based and their ingredients are either sourced locally or imported from Europe. We proudly handcraft limited batches, so you always get the freshest, just-like-nature-intended products without harsh chemicals. 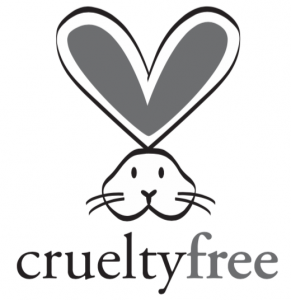 Thus, our products are 100% free from parabens, phthalates, polyethylene glycols, synthetic fragrances or colors. Simply put, if we wouldn’t trust it on our skin (and we do test it! ), we don’t use it. And that’s how we are wise about your skin ™ ! I am simply amazed by this product. I have mature skin and was looking for a new natural product to re-energize and give it a boost without any harsh ingredients. The way it feels silky smooth on my face and how it nourishes my skin – amazing! The scent is just the right note of fresh, clean and sophisticated. I have used it for about three weeks and have seen great results – my skin looks well nourished and free of impurities. I highly recommend the Goodness face elixir! I have been using the Goodness for about 3 months now. After the first week I already started noticing significant improvements. My skin was more balanced, super soft and silky. The Goodness passed the biggest test when multiple people complimented my skin and told me it looked radiant, refreshed and glowing :). I have super sensitive skin so I’m very careful about choosing skin care products. This elixir became THE only product because of its pure ingredients and light, natural scent. Thank you Sage Abbey! Great feel. I use it at night after I take off my make up. My face feels much smoother and mor nourished. Love the scent-not overpowering. My skin really loves this amazing elixir, and I do love it too! Having oily/combination skin, which sometimes feels more like dry skin, it used to be difficult for me to find the perfect skin care product, which will hydrate and nourish without feeling heavy or greasy once applied on the face and neck. And here it is! The real treasure in this simple and beautiful handy bottle. Moisturize well, and only 5 drops either in the morning or in the evening ( or both ), leaves the skin feeling soft, smooth and radiant. 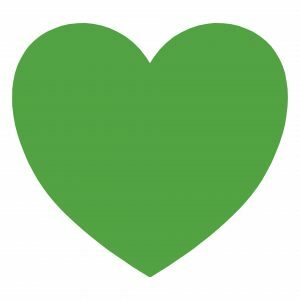 Fairtrade 100 % natural with NO toxic or unknown ingredients – I finally found my perfect face skin care product. Highly recommending! 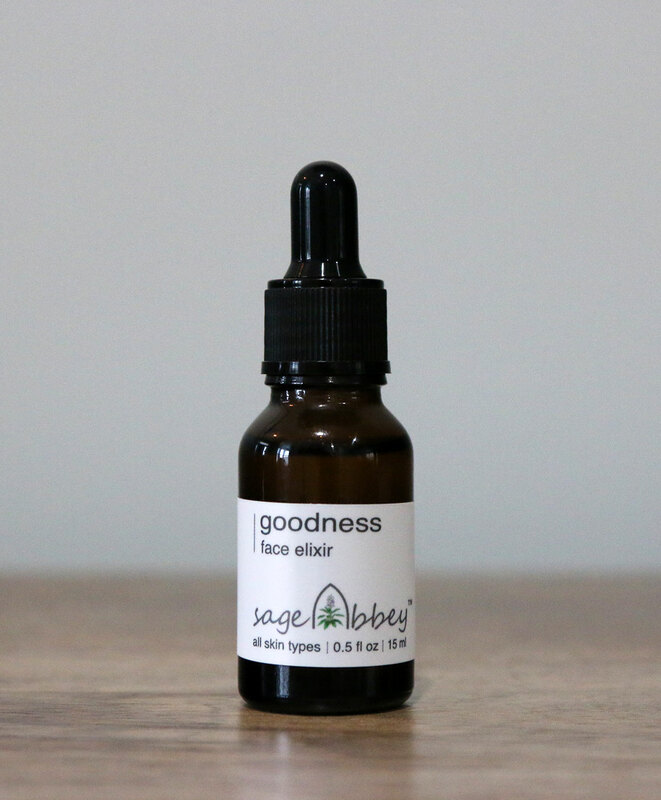 I have been using the Goodness face elixir for several weeks now and absolutely love it! This elixir is a face serum that from the very first time made my face feel smooth, soft, luxurious and so well nourished. The scent is fresh and divine, a daily moment of zen for me. I am a theater actress and on stage most of the year, so having a flawless face is a must. I keep it that way by using natural products without harsh synthetics and this combo of purest, nourishing ingredients works miracles on my skin. Thank you Sage Abbey (love the name! ), you have a loyal customer in me! I was going to write how much I love the Goodness Face Elixir, but I will let a bit of vanity get the better of me. I was using the elixir for about two weeks or so and noticed that my facial skin was much firmer and it looked very radiant. And the suddenly a few colleagues at work gave a few remarks that I looked great, something was different and so on with compliments. I do feel that my face looks better and those compliments, a notice of difference from other people, also give me a bit more incentive to dress a bit better and be more confident. So it is not just my face that benefits from all that goodness that is in that bottle, but also my soul. Christmas shopping just got a lot simpler :-)! I tried this serum this summer for the first time. I have sensitive , temperamental skin and am always hesitant to alter my set skin routine. I even often have issues with high end , pricey products and am a born skeptic. This however was different! It started with me liking the simple ,apothic looking tincture bottle,knowing this was not loaded with hidden chemistry, the really yummie scrumptious smell and ended with my skin absorbing the elixir instantly without leaving a residue or oiliness! The smell gently lingered which I loved. Apart from me liking the product instantly, I felt the benefits about a week in and I swear I could see my skin looking plumper and more even after about a month. I don’t give reviews often and as mentioned I am a born skeptic , but I really love how this product makes my skin feel, adore it’s chemical pureness and that this was not tested on animals. ~ I am ordering my next bottle as we speak! Absolutely love it. Absorbs quickly, smells great, my skin feels hydrated and rejuvenated. Oh my Goodness! What a delightful product. My skin is hyper sensitive so I’m very reluctant to try to new products. However, this little miracle serum appealed to my sensibilities. The cute little bottle. The exquisite and pure ingredients. The story. All played on my heart strings. So I tried the product on my left hand. After a day or two there was a noticeable difference in the texture of my skin…it was so soft and radiant. So I tried it on my face. Incredible. The aroma is heavenly. My skin felt as soft as a baby’s. Sage Abbey….I think that you’ve found a magical elixir! Absolutely love it! My skin is clear, dewey, fresh and the best it has looked in years. I love the aroma and feel of the product and can tell it is made from high-quality, carefully sourced and selected ingredients. I am telling all my friends about this!! Non-greasy hands after application to my face is greatly appreciated. Complimented by cosmetic counter staff at department store for my skin ( she thought I was wearing a foundation). Thank you for this amazing product! I have super sensitive, super dry skin so I was cautiously optimistic but willing to give it a try. I do need to use a bit more than the few drops that are recommended, but love the way it smells (should have mentioned I’m hypersensitive to smells and hate most cosmetic smells! ), the way it absorbs but still feels like my skin has been moisturized. maybe it’s my imagination, but I think the eye wrinkles are minimized and my skin looks healthier and feels softer. and even though I use more than 5 drops (probably 6-7 drops at night), it still lasts quite a while. And I love the fact that the ingredients are organic. About to get my second bottle!